ESG investing, one of the major thematics of the last few years and, no doubt, the next many years, is not just about equity investing. Fixed income is becoming increasingly ESG focused. Insight Investment tells how it is going about the new wave of ESG oversight. Bruce Murphy, director, Australia and New Zealand, at Insight Investment, says that when investors think about ESG it tends to be in the equities markets. However, fixed income and other debt-related investment strategies are just as important. Fixed income investments need to be as clean, green and mean as any other. What we’re talking about is this: fixed income investments need to take on board all the ESG factors that other asset classes do. Every single investment, from an institutional investor’s point of view, needs to involve ESG strategies. We are actually moving way beyond what used to be regarded as “ethical screens”. The new world of institutional investment is all about sustainability, including in the fixed income arena. Here is one fund manager’s view. 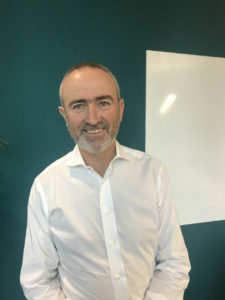 According to Bruce Murphy, the head of Insight in Australia and New Zealand, which is a subsidiary of BNY Mellon, his firm set about addressing the ‘G’ (governance) way back, after the ‘tech wreck’, around 2001-2002. Now, it’s more about the ‘S’ and ‘E’ than the ‘G’, he says. The ‘G’ is much easier to prove than the other letters. Murphy says it is mostly about the “desire to engage”, which includes how the fund manager, Insight Investment, which speaks for nearly US$1 trillion under management, communicates with both its investee companies and its clients, such as Australian super As we said: it’s all about the engagement. It is easy to understand the ESG principles in the credit markets. That’s about making judgement calls on the companies with which Insight and other managers make their loan or investment decisions. Sovereign bonds, though, are a different question. Sovereign bonds represent a top-down decision, which is more to do with the policies of the various governments. It’s pretty much impossible to engage with a government. Insight has a “sustainable bond fund’ in Europe which identifies the issuers and then assesses their relevance to their ESG principles.